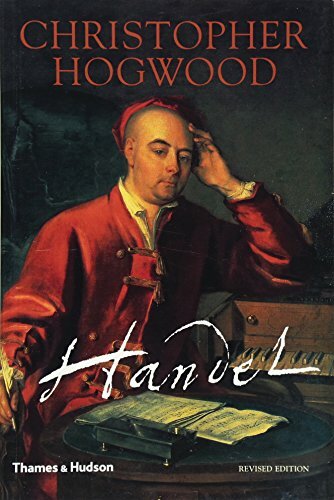 George Frideric Handel was a great Baroque composer. He wrote operas, oratorios (such as the Messiah), the Water Music and Music for the Royal Fireworks. 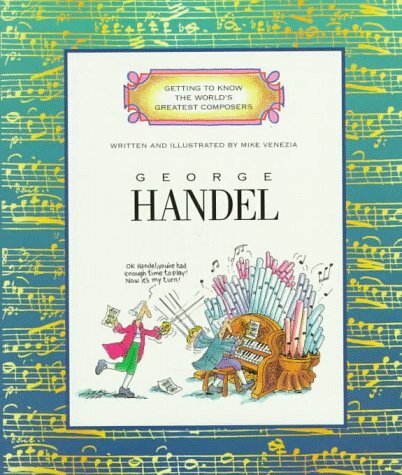 Every Easter we enjoy renditions of George Frideric Handel's great oratorio, the "Messiah". Handel's great works, the "Water Music" and "Music for the Royal Fireworks", are also ever-popular favorites. In this article we will explore life and works of this great German composer. 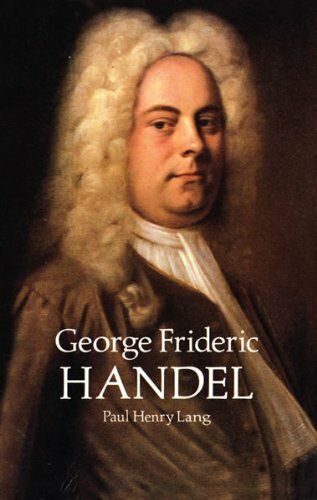 George Frideric Handel was a German-British music composer of the Baroque period. He was born in Halle, Saxony (Germany) in 1685. He showed music talent early in life, playing the organ, violin and klavier from the age of eight. When 17 he became the organist at Halle Cathedral. During this period he was also a law student. 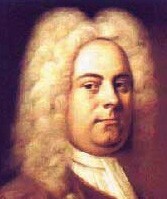 Handel moved to Hamburg to work as a violinist, keyboard player and conductor for the Hamburg Opera. His first two operas, Almira and Nero, were performed there in 1705. In the period 1706-10, he traveled in Italy, meeting the Italian composers Arcangelo Corelli and Alessandro Scarlatti and his son Domenico. While in Italy he found international fame as a keyboard player and a composer of operas in the Italian style. In 1710 Handel was appointed as Kapellmeister (musical director) in the court of the prince George, Elector of Hanover (who was later, in 1714, to become King George I of Great Britain). In 1711 he went to London to supervise the performance of his opera, Rinaldo. In the following year he became a permanent resident of England and was made a British subject, which allowed him to become the composer of the Chapel Royal. He began to attract attention from the rich and powerful in his new country. He was granted an annual pension of £200 by Queen Anne in 1713 for having his composing his Ode for the Queens Birthday. He was also the recipient of patronage from the two aristocrats, the Earl of Burlingham and the Earl of Chandos. In the 1720s and 1730s Handel was to compose a stream of 42 operas, such as Guilio Cesare (1724). In 1719 he was appointed director of the newly-established Royal Academy of Music. From 1735 Handel developed a new musical form, the "English oratorio". With declining returns from his operas, he composed the oratorios Saul (1739), Israel in Egypt (1739), Samson (1743), Belshazzar (1745), Judas Maccabaeus (1747) and Jephtha (1752). In 1742 Handel composed the oratorio masterpiece, the Messiah. This choral work was successful from its very first performance in Dublin. Over the years he also composed instrumental works, such as the suites, Water Music (1717) and Music for the Royal Fireworks (1749), and a very popular pastoral, Acis and Galatea (1718). In 1737 at the age of 52, Handel suffered a stroke from which he recovered. In 1751 Handel became partially blind and, after a failed operation on his eyes, he lost his sight completely by 1753. He died in 1759 and was buried in Poets Corner, Westminster Abbey, London. When we listen to a work by Handel, we cannot fail to be impressed by the color and imagination of the orchestration and in the brilliance of his choral compositions. He produced many wonderful melodies and excellent, even daring forms of harmony. His music was robust, direct, powerful and effective. His operas and oratorios had great dramatic power. For example, his later oratorios (such as Saul and Samson) treat dramatic Old Testament themes and the heroism and suffering who lived in those times. Handel had a subtle understanding of human psychology, and could depict a human personality clearly in just one scene or aria. He shows a great expressiveness in his depiction of human feeling and moral struggles. Beethoven was a great admirer of Handel. The latter's reputation was high in his own times and has never wavered since then. What Handel said and what others said about him. Handel's life and work in Germany and England, including at Court. His operas and oratorios. Many music samples. The Austrian composer, Joseph Haydn (nicknamed "Papa" Haydn), never seems to have stopped working. He produced 104 symphonies, 84 string quartets, and much more. Regarded as the greatest composer of the Baroque period of classical music, Johann Sebastian Bach produced amazing sacred and secular music that moves us still. I enjoyed the Water Music. Why is it called that, do you know? I always enjoy hearing a choir singing the Messiah. Handel's Bestiary by mystery writer Donna Leon brings together a CD of one animal-related aria each from 12 beloved operas by eighteenth-century composer George Frideric Handel.